When we install epoxy liners or coatings in plumbing risers, we utilize trenchless technology. This means that we always try to use an existing access panel. If we can’t use an existing access panel, we will create an access panel, which helps eliminate the need to hire an additional contractor to perform drywall work. Plumbing risers are vertical runs of pipe that supply water to the various floors of your high-rise apartment or condo building. They are typically manufactured out of plastic, like PVC, or metal, like copper. When they start leaking, they can cause damage behind the wall and on multiple floors. Plumbing risers can also refer to the supply lines running behind showers, sinks and bathtubs. When we talk about access panels for plumbing, we are talking about small doors or panels that can be removed in order to access specific plumbing pipes and perform repair, replacement or rehabilitation work. Installing epoxy liners and coatings is a trenchless technology. This means that we do not have to cut out large sections of drywall that the Chicago building owner later has to have replaced by another contractor. Instead, we prefer to use either existing cleanouts or access panels to reach the risers with our equipment. This means that the building owner or property manager does not have to replace any drywall or finishes. In order to properly hook up our equipment and ensure the pipe coating or liner is installed correctly, we want the access panel to be positioned as close to the riser as possible. If the existing access panel is in a bad location, or there is no access panel for that riser, our technicians will create an access panel. This means that instead of cutting through your drywall haphazardly, we will make a square cut so that we can add an access panel to the wall. This means that if additional work is ever needed on that riser, you’ll be able to access it through that same panel. Access panels make plumbing repairs and rehabilitation much easier and faster. This is because once the panel is in place, all of our pipelining equipment can be quickly attached to your plumbing pipes. This means we can clean and prepare your plumbing riser for the epoxy liner or coating in a timely manner, and it takes us less time to install the epoxy pipelining. If your plumbing risers are corroded and/or leaking, our pipelining technology can rehabilitate them and extend their useful lives. Pipelining accomplishes these tasks by sealing cracks and pinhole leaks and preventing the water from coming into contact with the host pipe. 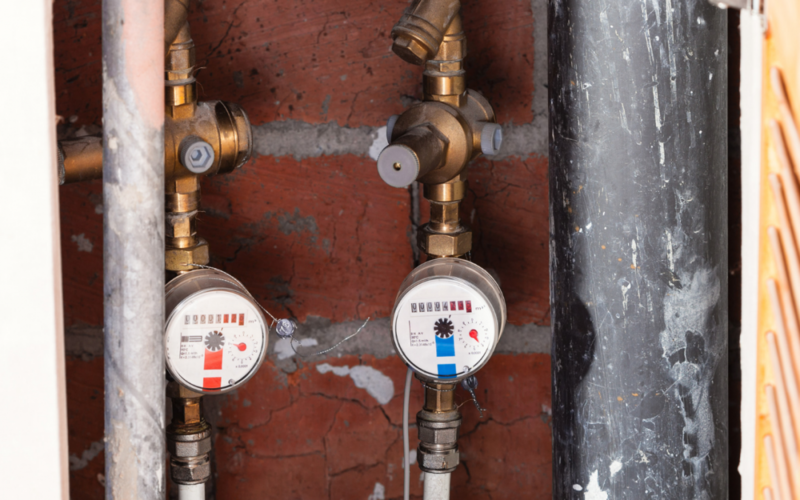 When water does not come into contact with the metal of your existing pipes, corrosion no longer develops, and pipelining is rated to last up to 50 years with proper installation. To learn more about how lining your rises with an epoxy liner or coating can help stop leaks and prevent future leaks, call us at 815-790-9000.